Happy New Year, everyone! It’s time for my semi-annual I’m-going-to-get-in-shape-I-really-mean-it-this-time, so you’ll have to indulge me while I post some healthier recipes over the next few months. (Don’t worry, there will still be treats! I’d never give up dessert, I just find ones that aren’t as bad for you.) Honestly, I really overindulged on cheesecake and cookies last month, so I’m ready to get back to eating better and eating less processed food. I’ve been eating a piece of fruit for dessert every day this past week and it’s been perfection. I’m always looking for easy things to have in the morning with my coffee and muffins are definitely my favorite. Unfortunately, a lot of muffin recipes are not that healthy. And of course, my favorite kinds of muffins have things like streusal on them which make them even worse for you. 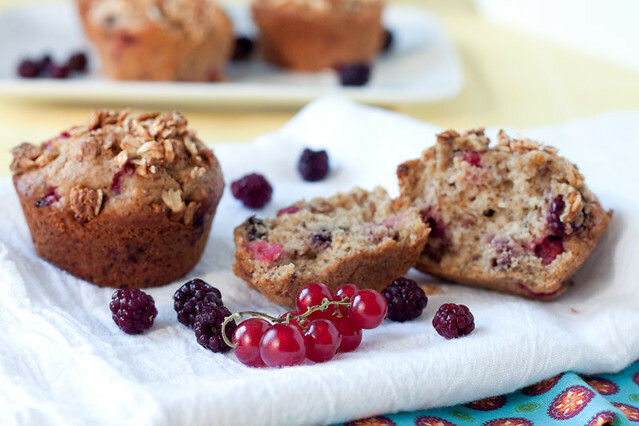 This recipe surprised me because it has healthy but not tasty sounding things like whole wheat flour, flaxseed and oats and yet these muffins are delicious. The muffins are very light and not at all dense (a problem I’ve had with a lot of whole wheat muffins before). They are sweet but not overly so. They are flavored with orange juice and the sweetness of the orange works perfectly with the tart berries and orange zest. 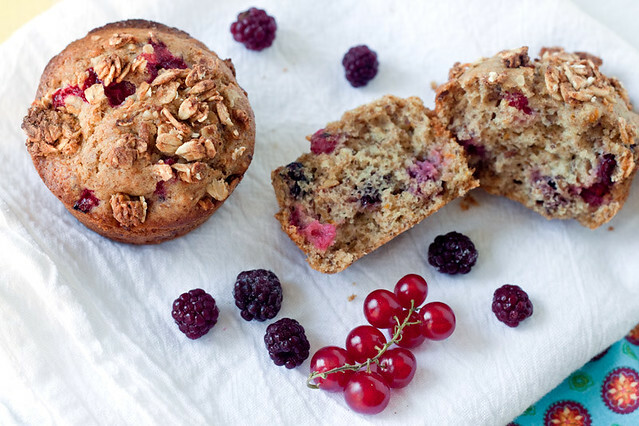 I love the low-fat granola sprinkled on top because it gives the muffin some extra sweetness and crunch that a streusal can give, but it’s not as bad for you. My grocery store had red currants and they were so beautiful that I just had to buy them despite having no clue what to do with them! In the end, I decided to throw them into these muffins along with some frozen blackberries. 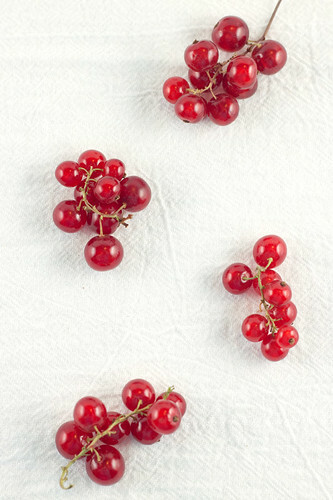 If you’ve never had a red currant, they taste like very tart little grapes. 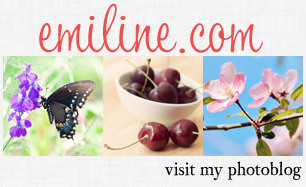 If you happen to have both blackberries and currants, it’s a fantastic flavor combination (and pretty too! ), especially with the orange. But if not, you can add any berry you like. Cranberries or blueberries would work well. Feel free to mix it up! 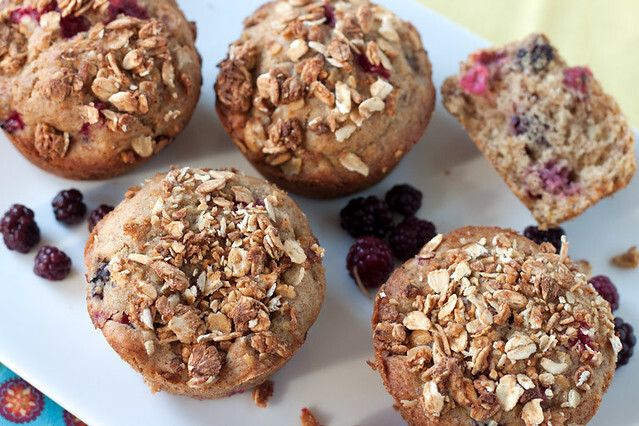 I’ll definitely be making another batch of these healthy, flavorful muffins with one of the bags of cranberries in my freezer. *Make your own granola! It’s easy and a lot healthier than the kind you can get at the store. I like this Applesauce granola or this Pumpkin granola (that’s what’s on my muffins in the photos). Preheat oven to 400 degrees (F). Coat muffin pans with cooking spray (this makes about 18 muffins). Crush granola to eliminate larger chunks. In medium bowl, whisk juice, egg, oil, vanilla, zest and sugar and blend until sugar is dissolved. Add the wet mixture to dry mixture and fold in until just moist. Gently fold in berries. 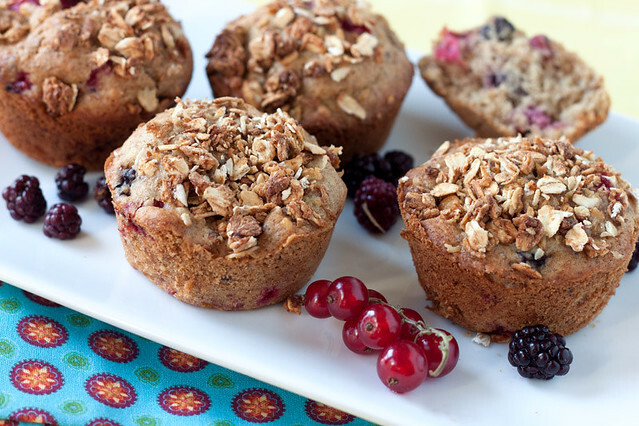 Fill muffin cups about 2/3 full, sprinkle with enough granola to cover top of muffin. Lightly press down so granola adheres. Bake for 20-25 minutes or until tops are golden brown and a toothpick in the center comes out clean. Let cool for 5 minutes and then remove from pan. These can be served warm (the granola will be crunchier) or at room temperature. If stored in an airtight container these keep for at least a week without getting too dried out. Note: This is not including the granola because the nutrition info will vary depending on if you make or buy your granola. I added 1 pt. to the muffin for about 1 tbsp. of my homemade granola. It would actually be less, but WW always rounds up. Weight Watchers Points: 4 pts. Weight Watchers Points: 3 pts. I too totally over did it in the eating department! These look like the perfect little muffins! These muffins sound fabulous! 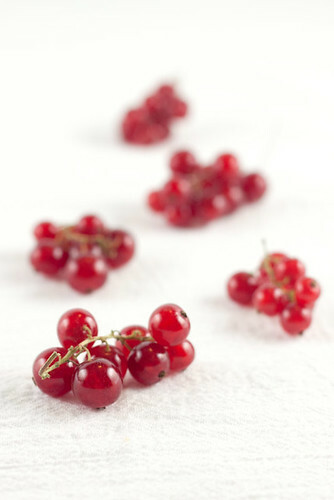 I’ve never tasted a red currant before, but I’m quite intrigued! Made these last night! They’re wonderful! 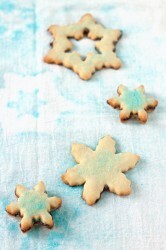 I made these the other day and stuck them in the freezer for a quick healthy treat! They are very good AND guilt free! Who could ask for more? Nice & moist, too. I didn’t have any granola for a topping, but they’re just fine without.